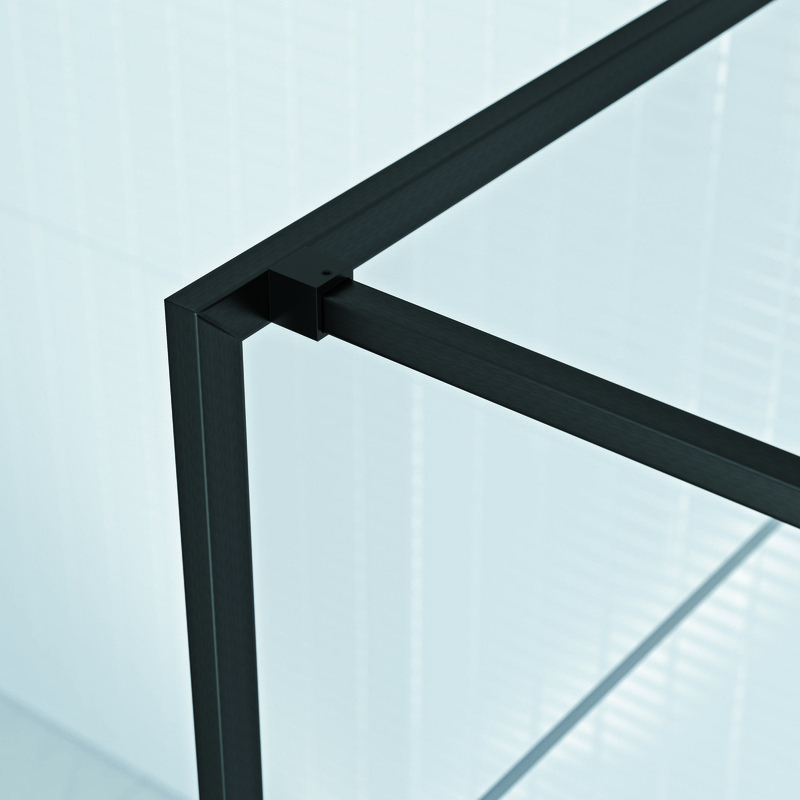 4 mm thick tempered glass with frosted black anodised aluminum perimeter profiles / 10 mm tempered glass without perimetral profiles, only U with frosted black anodised aluminum wall or stainless steel brackets / Possibility of customizing the screen with different screen printing models . 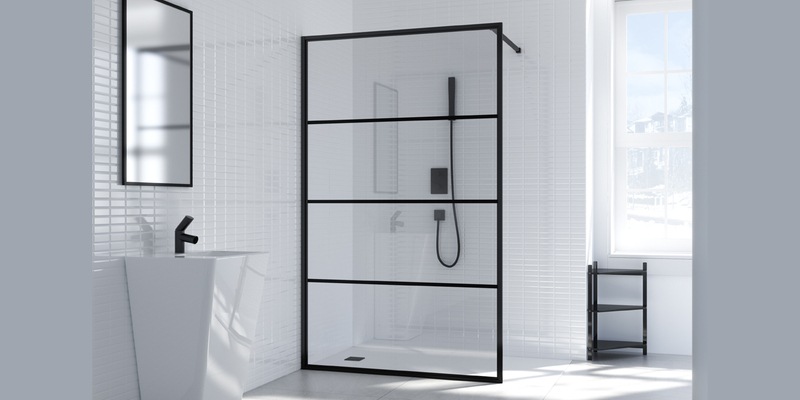 Futura Norma and Futura Sense are supplied with 4mm glass, with frosted black perimeter profiles with glass finishes in transparent or any of the serigraphs. 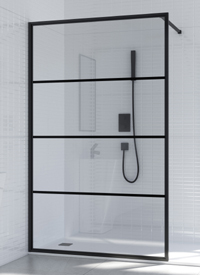 Futura Carmen and Futura Otello are supplied with 10mm glass, with glass finishes in transparent or any of the serigraphs and without perimetral profiles (only the U of the wall). 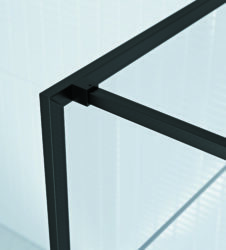 Bar fastening detail perpendicular to perimeter profile. 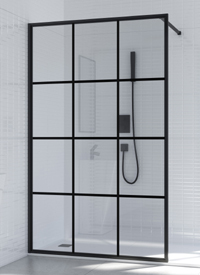 Serigraphy on glass is a very innovative technique. 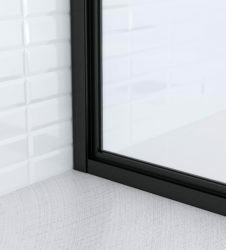 In addition to the originality provided by the color, the final result has all the benefits of tempered glass in terms of strength and safety. 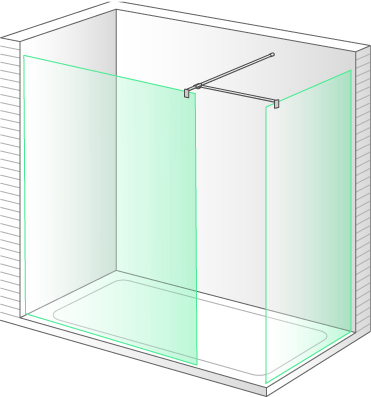 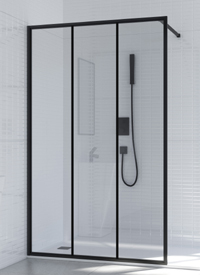 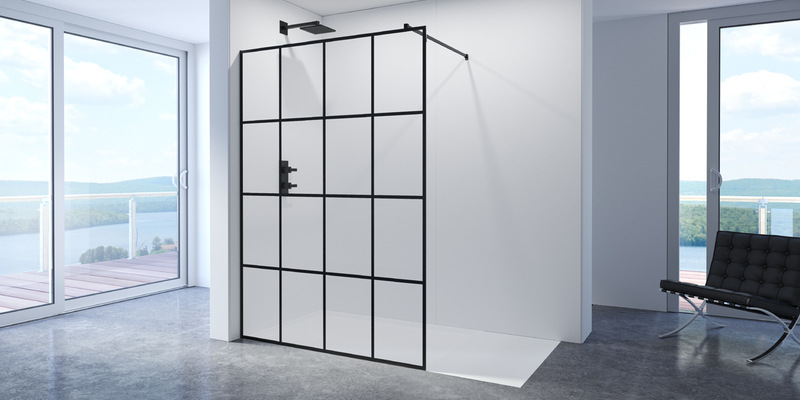 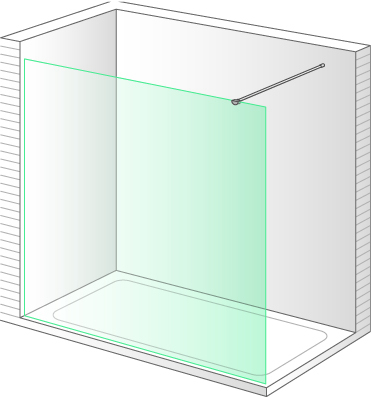 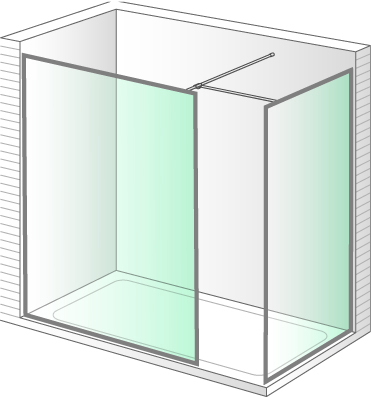 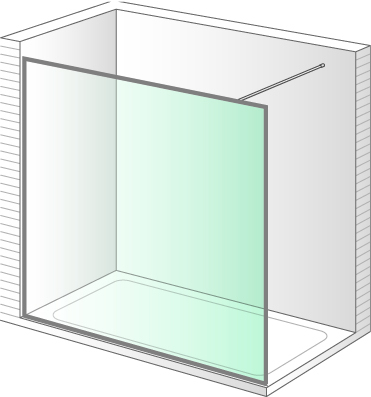 This model of shower screen can be served in black.